The threat of rain in the forecast didn't stop Nicolette, Travis and I from creating some gorgeous photos during their engagement session! 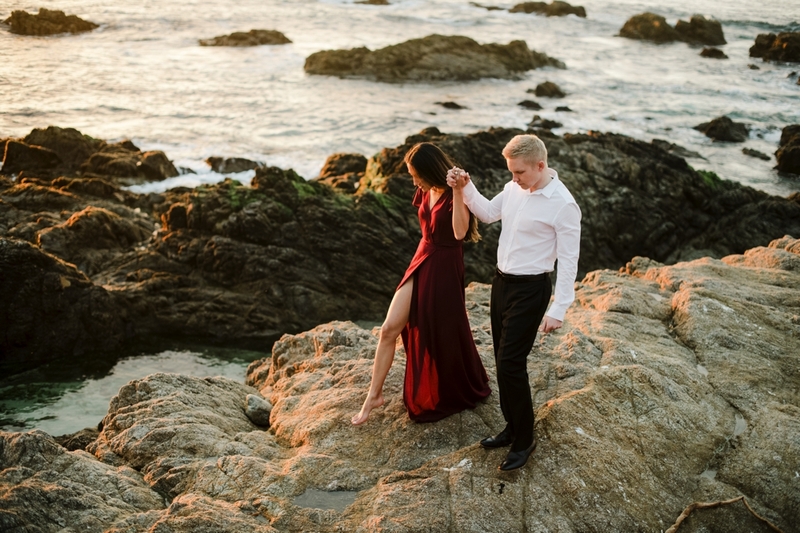 Carmel is such a special place to these two, so doing their engagement photos here was the perfect fit. 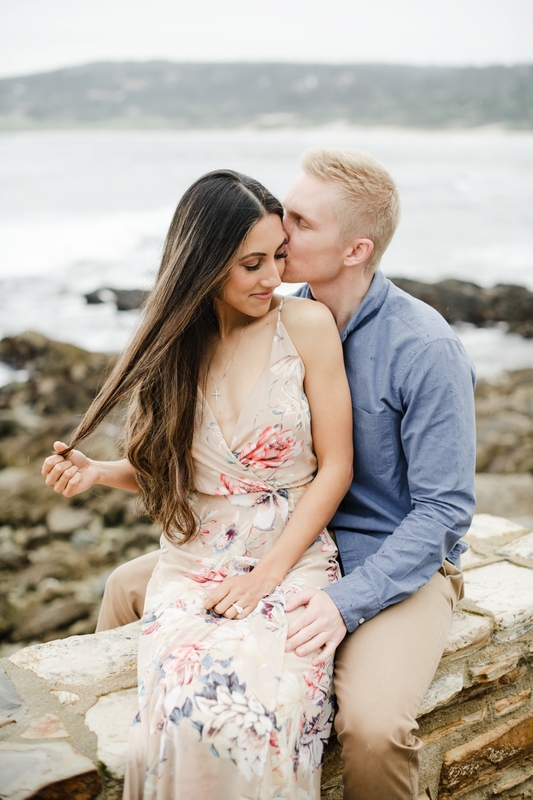 Travis proposed to Nicolette at Spanish Bay, a beautiful golf course on 17 mile drive where Nicolette used to work. We returned to the very spot Travis popped the question for some photos. The nightly bagpiper was playing in the background and the sun peaked out for us for the most golden light i've ever seen. Pure magic I believe!